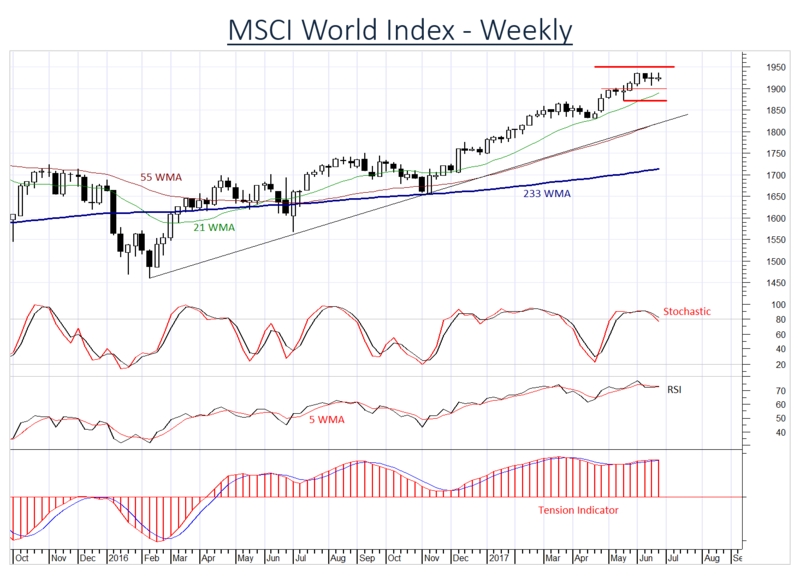 Investors remain bullish whilst the MSCI World Index consolidates at contract highs. 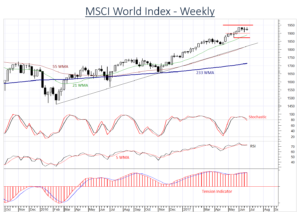 Risk of a corrective pullback is increasing as overbought momentum studies unwind. A close below 1900 will prompt a downgrade as sentiment weakens. However, a further close below 1873 will signal a more significant reaction and prompt a further downgrade to negative.